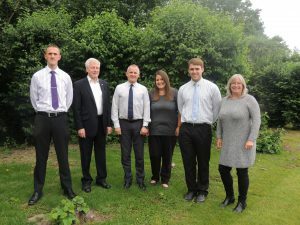 A children’s charity which supports children living in Redditch, Bromsgrove and the surrounding area, the Oakland Foundation, has announced the appointment of two new trustees. Ron Whitfield brings to the board over 35 years of experience encompassing leadership development, business change management, coaching, mentoring, information management and professional standards; 30 years of which have been at senior operational and strategic level. Ron also brings his experience as a Trustee of other charities, including as past Chairman of Kemp Hospice in Kidderminster. Founder of Evopr.com and a member of the Chartered Institute of Public Relations and Chartered Management Institute, Kathryn Watts has over 25 years’ experience of senior operational and management roles; 18 years of which within the PR and communications sector, working with a variety of industries including education, supply chain logistics, IT and professional services.